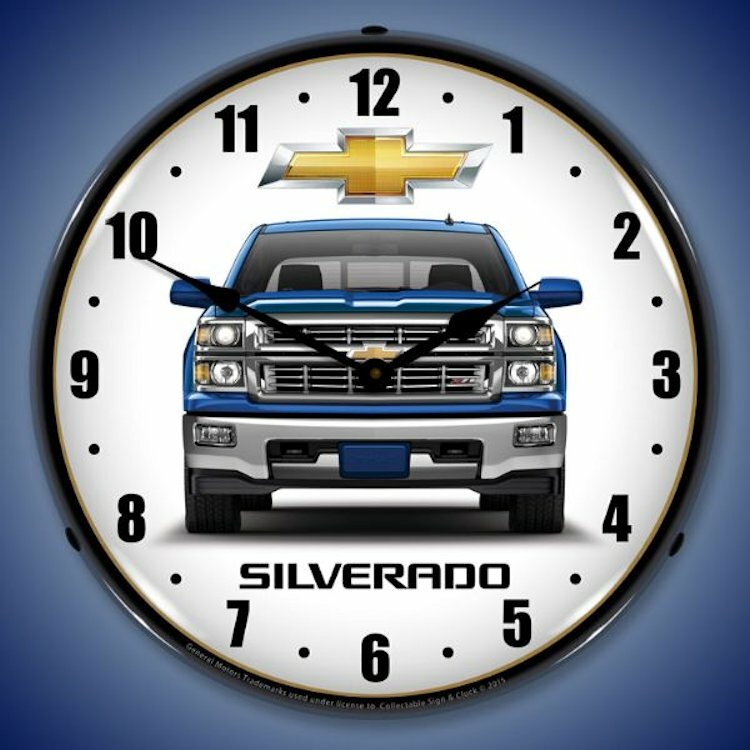 If anyone in your immediate vicinity has ever shown an affection for the Chevy truck, if you have a loved one who gives more attention to their Chevy truck than their kids, if a friend drives around in a Chevy truck that�s bigger than their house, we think you know a perfect candidate for one of these Chevy truck clocks. 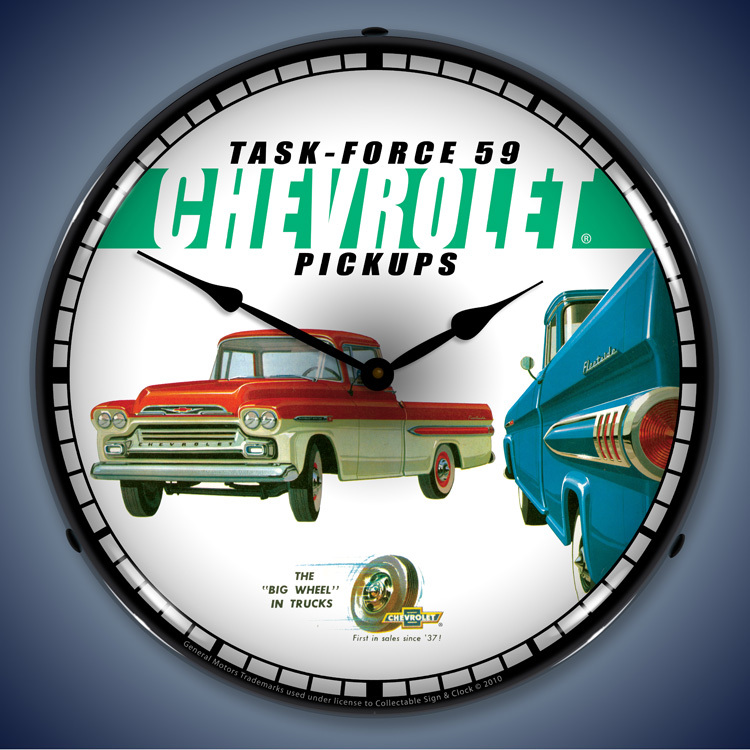 Each clock has a 14 inch face with an outer lens manufactured from a high end optical lexan. This is a scratch resistant surface and promises to not yellow over time. 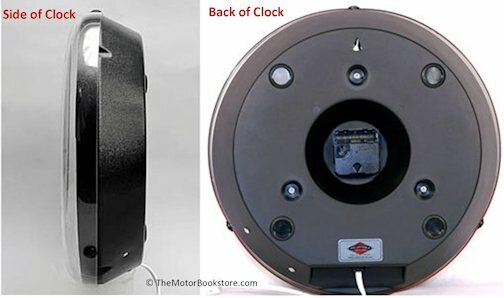 The clocks have a back engineered from black ABS plastic. A 22 watt fluorescent circuline bulb operates via an off/on switch while the clock itself is powered by a single double-A battery. 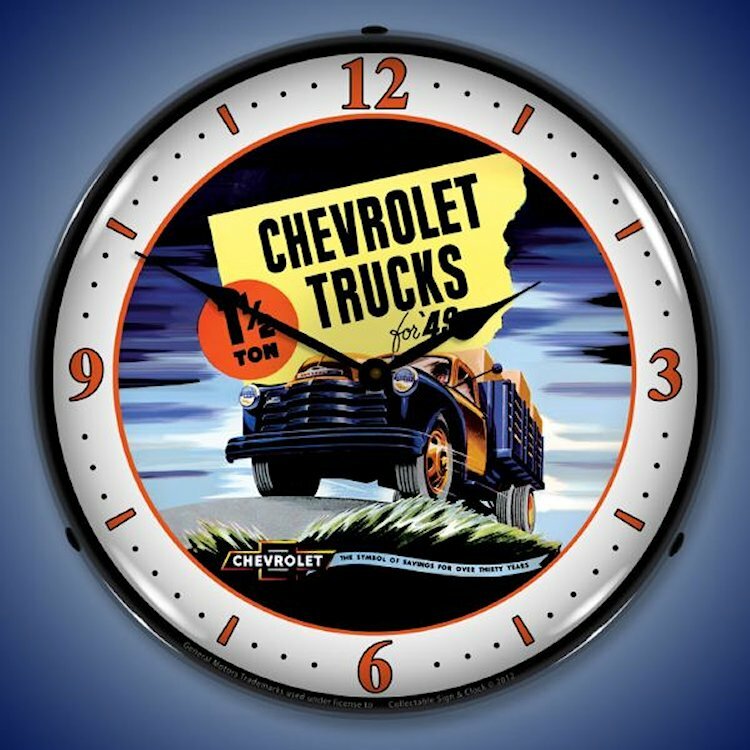 This collection of colorful time pieces was designed by USClock, a leader of innovative signs and clocks for the aficionado of sports, cars, hogs, modern and classic art, and seasonal items. 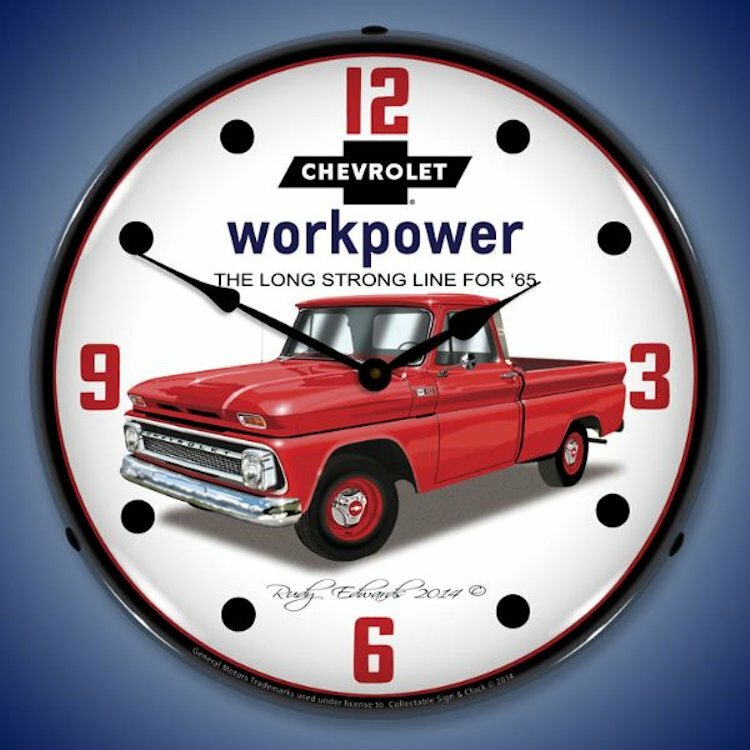 These lighted clocks have a vintage feel backed by modern tech, making each piece fun and nostalgic, and a device that�s going to look good on any wall for years to come. 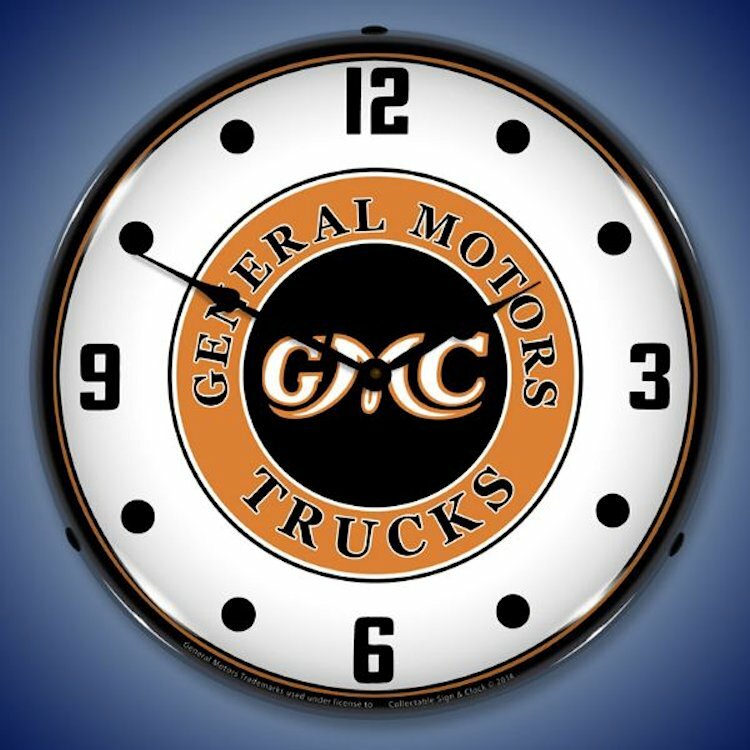 If the person you�re thinking about loves all things GMC, we have the perfect clock for that (GMC Trucks Vintage). But if they have a specific taste, we�ve got you covered. 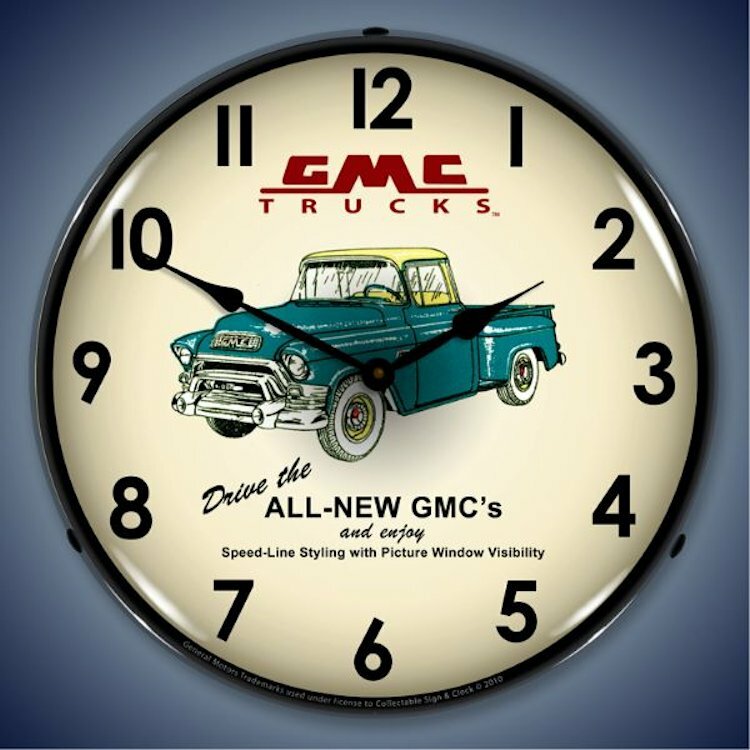 There�s the GMC 1956 and the 1955 Chevy truck clocks featuring vintage artwork and classic lines from the company�s campaigns. 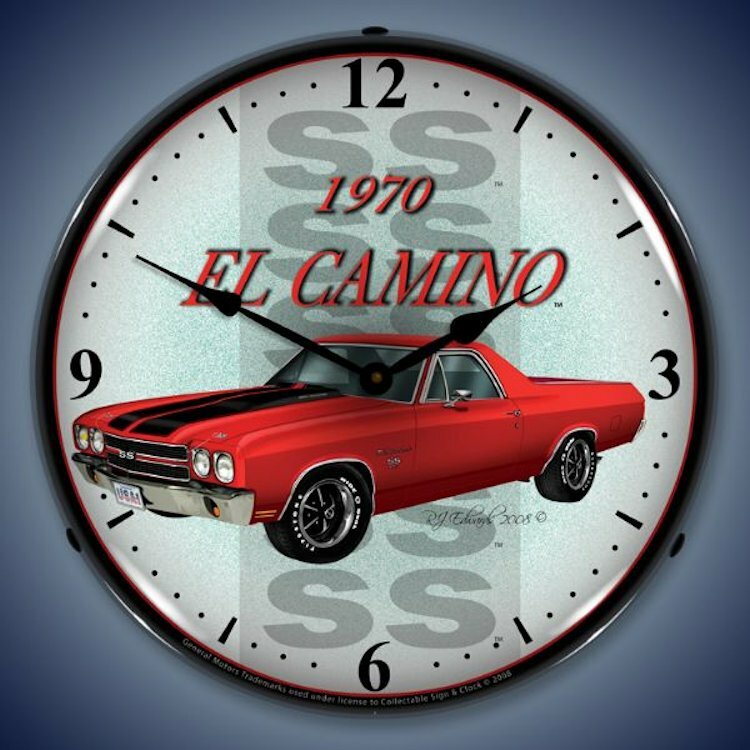 We have a piece that celebrates the 1970 El Camino in all its masculine, bright red glory. 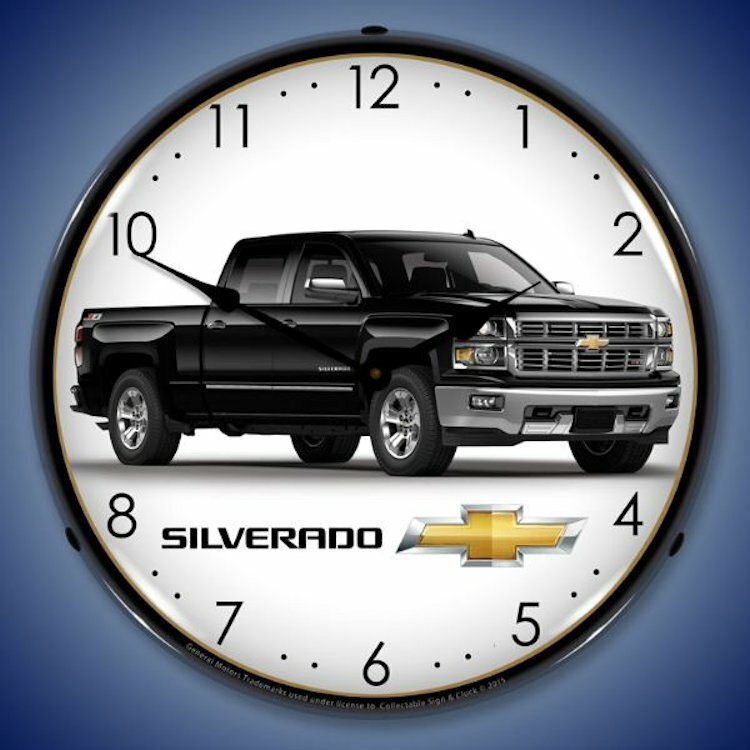 You can jump ahead to the auto maker�s newer beauties, like the Silverado. All the artwork was created using a CNC route and a UV dried computer controlled printing, ensuring a sharp, detailed and lasting image. 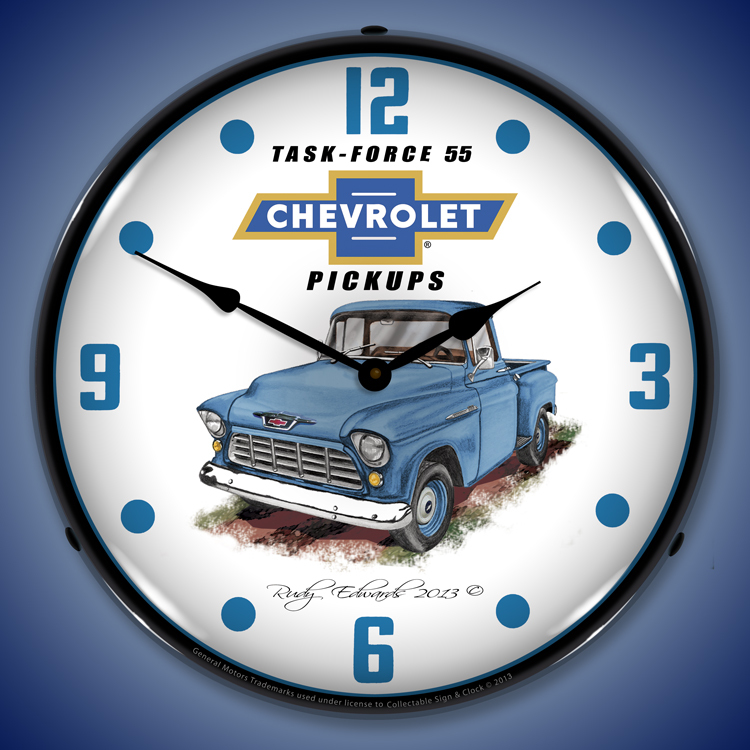 Your Chevy fan will love any of these Chevy truck clocks to hang in the office, home or garage, especially if the Chevy lover is you!